best moment guess what, 2 girls was selling "shot"
came back, all put me on "sun ju toi"
A man-made virus called KV (or Krippen Virus, originally created as a cancer vaccine) wipes out the population of world in 2009, leaving virologist Robert Neville (Will Smith) the last human survivor in New York City and possibly the world. The virus immediately killed 90% of the people on the planet, roughly 5.4 billion. Less than 1% of humans are immune, leaving roughly 12 million people unaffected. The remaining 588 million people were infected but did not die; they instead lost all normal human behavior and degenerated into a primal state driven by cannibalistic hunger, in turn killing a majority of the immune. Neville is watched by these "infected" people. The infected are strongly affected by UV radiation, so they avoid sunlight and hide in the dark underground and in buildings (called hives by Neville) then swarm out at night. 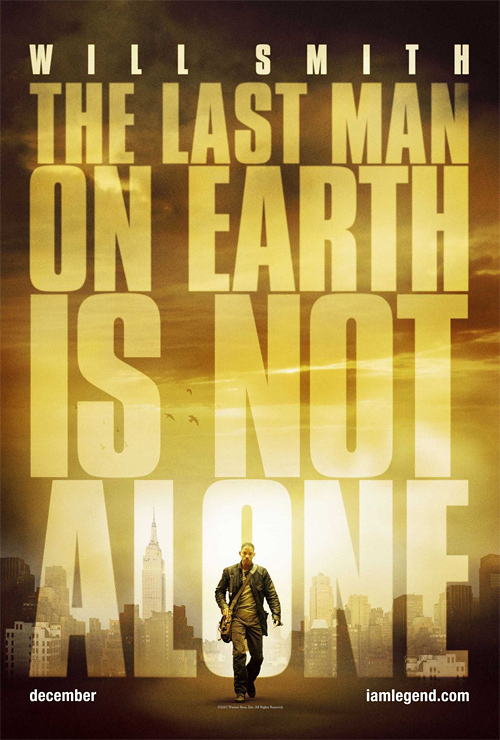 Three years after the virus's destruction, Neville has not seen another normal human being and suspects that the infected have succeeded in killing the remainder of the survivors. Neville finds himself outnumbered by the infected and running out of time. Neville is also haunted by the intense psychological trauma not only of having everyone he ever knew die, but also being completely isolated from all human contact for three years; his only companions are his dog, Sam, and various department store dummies he has set up and assigned names. Neville eventually comes up with a treatment for the virus, but initially it doesn't appear to work. When his dog companion dies from an attack by the Infected, he nearly commits suicide by attacking a large group of Infected, but is rescued by a former Red Cross member, Anna, and a child named Ethan. When the Infected attack Neville's home and overrun it, he, Anna, and Ethan rush into his laboratory in an attempt to survive. When they seal themselves in with one of the Infected Neville was studying, they realize that the treatment has started working. Neville quickly draws blood containing the cure from the patient and gives the vial to Anna. Neville locks Anna and Ethan in a safe with the vial and sacrifices himself, killing the Infected attempting to kill them. Anna and Ethan eventually travel to an isolated community of survivors in Vermont where the two give the cure to the guards.